As a youngster I was brought up in the 'steam' age. 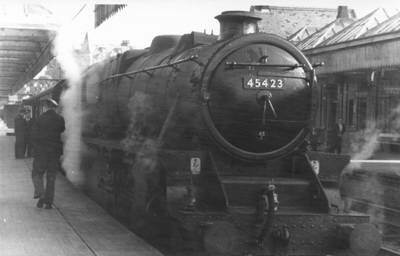 I remember watching single passenger carriage drawn by steam trains pass the primary school when out playing. 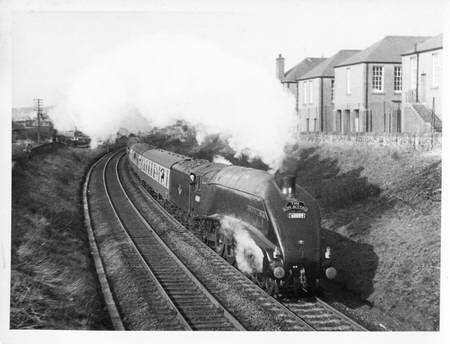 Most are photographs I have collected over the years and may not be from Fife. 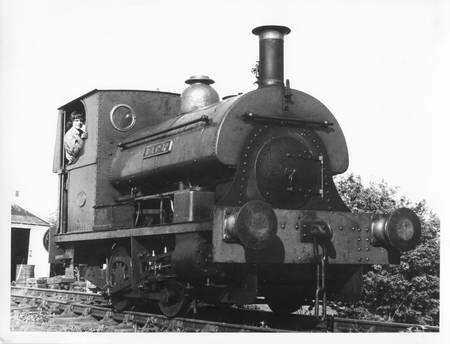 I thought they would be of interest to those folks into Steam Trains. 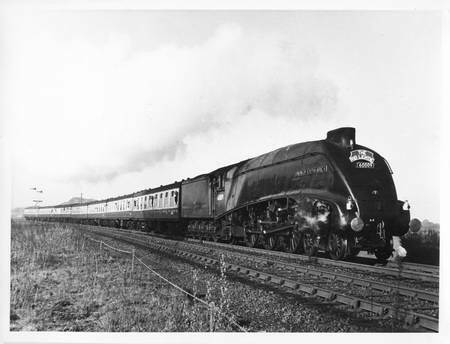 If anyone can tell me where these photographs were taken, or any information about the trains, please get in touch by e-mail. Many thanks to Steven Chambers who got in touch and filled in a lot of the gaps below. 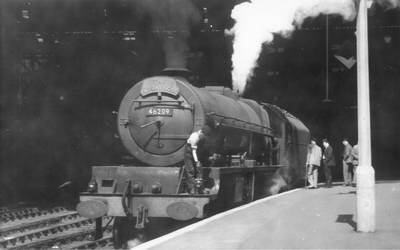 with a 1958 football special from Glasgow Queen St. to Methil (for Bayview). Thanks to Steve Chambers for the above information. 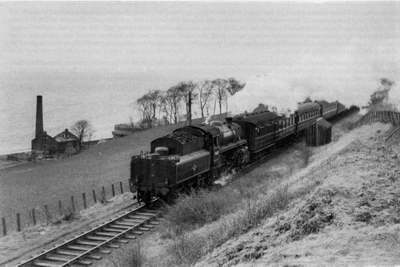 The following 3 photo's all appear in the Angus Railway Group's Steam Album No1. 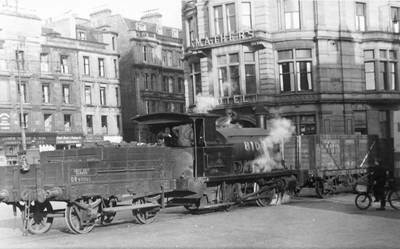 This is NBR Y9 0-4-0 saddle tank (LNER) No 8107, South Union St, Dundee, 1947. The building in the background is the Mathers Hotel and a road sign has A92 written on it. Also out of interest, written in the dust on the rear of the train are the words - The Pirate. 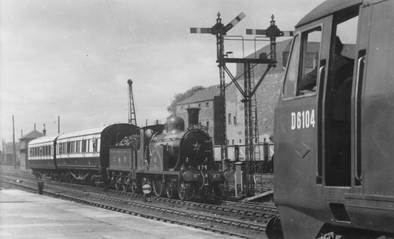 Society special on 20.5.1961. The train has the words 'SLS Tour' written on a plaque. 13.30 Midday Scot. Date 1951-62.
was commonly known as Lizzies. 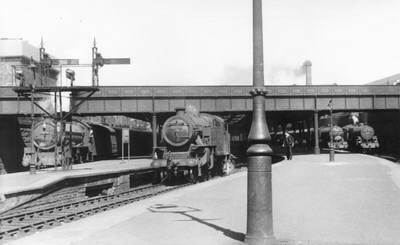 Station sign says - 'Dundee' - possible 'Tay Bridge'. 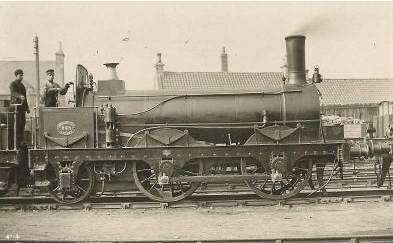 20000 and ex-Great Western retained their cast brass numbers). door you might see a shed code such as 16A.